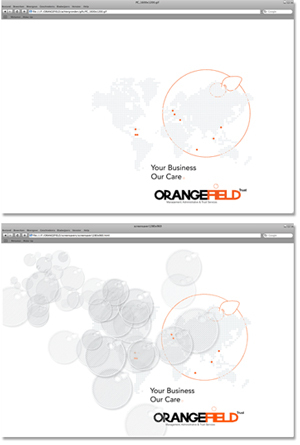 Orangefield Trust is a global trust company that provides corporate, administrative and trust services worldwide. 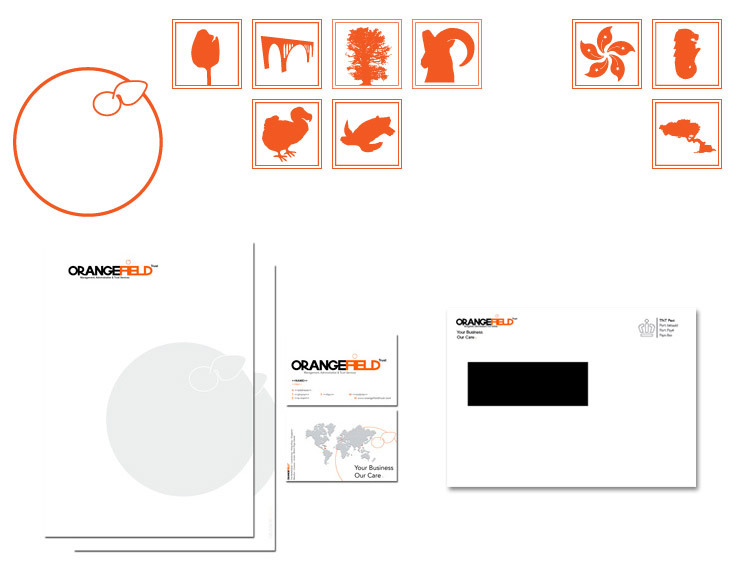 Orangefield Trust, a continuation of ING Trust, has offices in Europe, Asia and the Caribbean. Ditbureau was approached to develop a visual identity that represents a clear, straightforward and explicit vision, but still could be recognized as a company that provides financial services. Within a sober spectrum of colors the main color was chosen to be 'orange' in relation with the fact that the head office is located in the Netherlands. The growing potential is visualized by giving each (new) jurisdiction a unique icon, based on one of the national symbols of the country where the office is located.